After Mansi leaves from her marriage, KaiRa track Mansi inside the house, knowing nobody has seen her leaving from the house. They find Mansi in storeroom, and explain her that all the marriages don’t have the same fate. They convince Mansi for marrying Anmol. They finally get Mansi to the mandap. Mansi and Anmol exchange Jaimala. Their marriage happens by all the rituals. The marriage function turns too dramatic. Mansi and Anmol get everyone’s blessings. 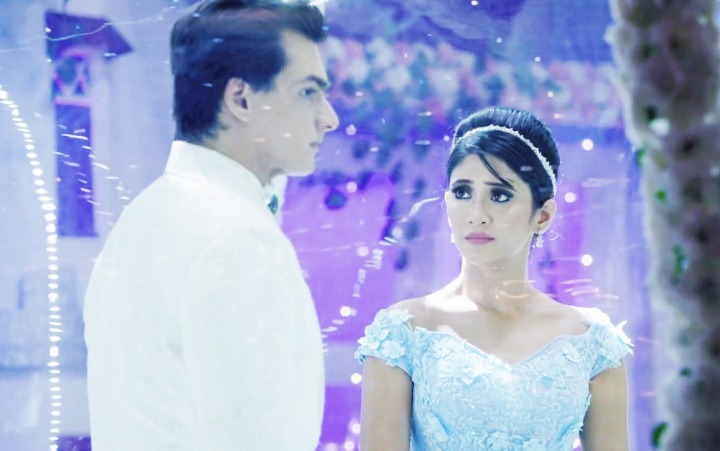 Kartik and Naira get recollecting their marriage moments and togetherness. They get upset with their breaking relation. The cash goes missing from the Shagun plate. Kartik blames Rukmani for this. Naira defends Rukmani and asks Kartik how can he blame any elderly person for theft. He tells her that he didn’t blame Rukmani, he just said that they should ask Rukmani once. Rukmani tells them that she took the cash to keep it safe, not to steal it. She clears out her move. Kartik asks Naira why does she always misunderstand him. Naira gets shouting on him. They both lose their cool. Suwarna interrupts to defend Kartik. She yells at Naira for breaking their happiness again. Suwarna confronts Naira for Shubham’s death. Kartik and Naira get into a heated argument in front of everyone. They both blame each other for breaking their trust. They get counting their mistakes and also mention Shubham’s death. Kartik yells at Naira and tells her that she has hurt his family. She tells him that she didn’t hurt anyone, she doesn’t enjoy hurting anyone. She blames him for breaking their relation by not trusting him. Kartik tells Naira that when trust breaks, its tough to rebuild it. He asks Naira why didn’t she tell him anything, how can she suspect him. She tells him that she doesn’t believe him now, after seeing his changing colours. He asks her if she gets fun by mocking him and hurting his heart. Naira denies of hurting Goenkas and asks him to come out of the past. He tells her that things can never get fine between them, their relation broke because of her, if she trusted him, she would have told him about Shubham’s drug addiction. They get hurting each other verbally, and don’t care that their families are watching and getting hurting by their fight. Kirti breaks down and asks Naksh why are they fighting like this, can’t they see what they mean to each other. 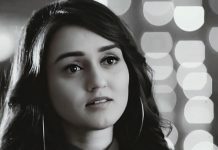 She asks anyone to explain Kartik and Naira that they are made for each other. Kartik tells Naira that he really hates her. She also declares that she hates him, and can’t live with him ever. He tells her that he can’t live with her, since she never understood him. Naira tells him that he never trusted her and this is a valid reason for their divorce. The lawyers come there with the divorce papers. Kartik and Naira sign the papers and end their relation officially. They lose hopes on their love. The families get a big shock with their divorce. Mansi cries with the sorrowful moment post her marriage. Mansi’s bidaai finally happens. The family gets upset that Mansi stepped into her new life after witnessing her brother’s divorce. 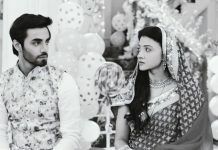 They cry for Kartik and Naira’s divorce. Bored by seeing this please end it…. !